The cost of water has become a major burden on the Sunshine Coast homeowner. Did you know that a few simple changes to your habits and plumbing fittings can make a big impact on how much you spend on water in your home. Plumb-tek can show you how you will save money with a water audit. This can be completely free, thats a value of $60 extra service. 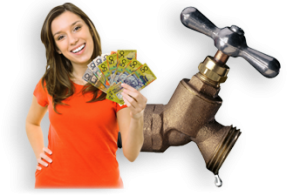 Who qualifies for our bonus water audit? 1. Simply have Plumb-tek conduct work on your house or commercial premises and you qualify for the free audit. 2. Have an audit conducted on your home or business premises and the price of $60 will be deducted from any work you choose to have done. Graeme is confident that every building can significantly reduce water bills using the right technology and small changes to habits. – Usage calculations which factor users and fixtures. – Pressure test of your entire system. – Advice on alternative fixture systems. – Recommendations for devices which save water without negative effects on hot water systems. Call Graeme on 0438 160 336 to arrange your water audit today or if out of hours simply use the form on this page and Graeme will get back to you the next business day.